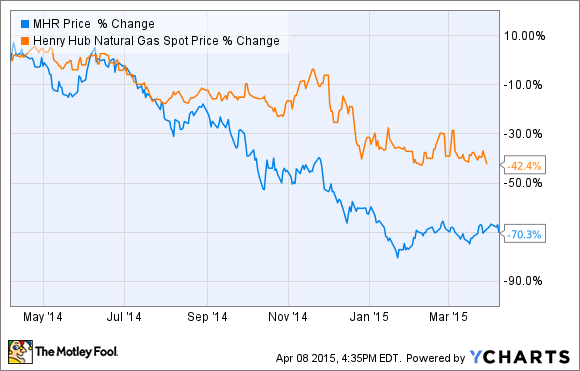 Gas producer Magnum Hunter Resources Corp (MHR) stock fell 10% today. Here's what you need to know. So what: Over the past week, Magnum Hunter investors have gotten some bad news, as the company announced that it had received a Wells Notice from the SEC, informing the company that the SEC was recommending enforcement action against the company, its CEO, and several other current and former insiders. This led to a downgrade by Wunderlich Securities on Monday, further pressuring the stock price. Factor in the 5% drop in crude oil prices today, and that's why Mr. Market smacked Magnum Hunter stock. 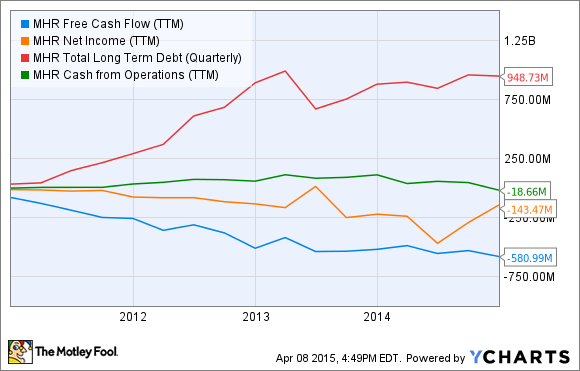 MHR Free Cash Flow (TTM) data by YCharts. While there's no news today behind the stock price drop, there's plenty of reason to avoid investing in Magnum Hunter Resources, at least for now. The one thing that would definitely lift the company's shares would be a big rebound in gas and oil prices, but unless you know someone with a crystal ball, there's no predicting when that could happen. Looking for better alternatives? Start with the link below.